For your convenience, we now offer online billpay using Paypal. We accept Mastercard, Visa, Discover, or American Express using the Paypal button below. Please type in the amount to be paid in item price, and fill in the date of birth section to make it easier for us to credit your account. 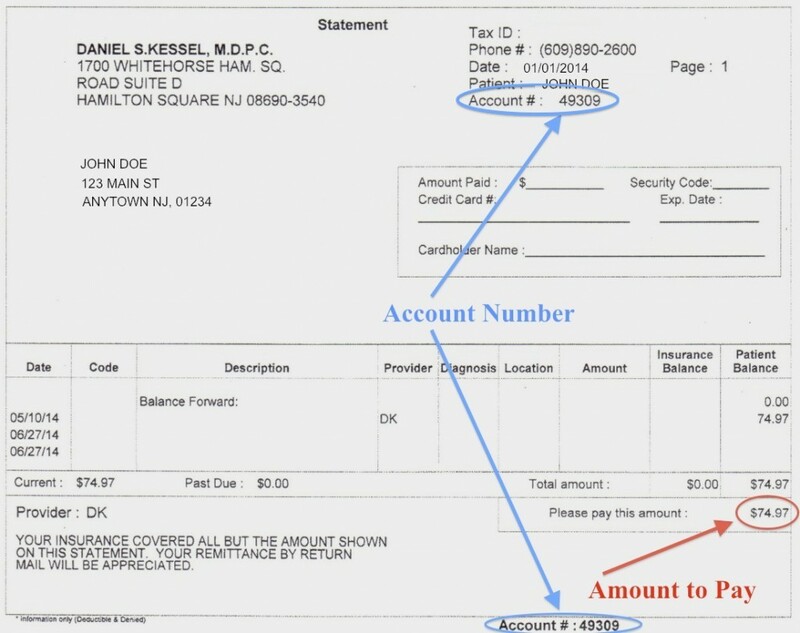 A sample bill has been included below to make it clear where the account number and amount to pay are located on the bill. 1. YOU MUST TYPE IN THE CORRECT ACCOUNT NUMBER BELOW IN ORDER TO HAVE YOUR ACCOUNT CREDITED. If you have questions regarding making an online payment, please call (609) 890-2600.